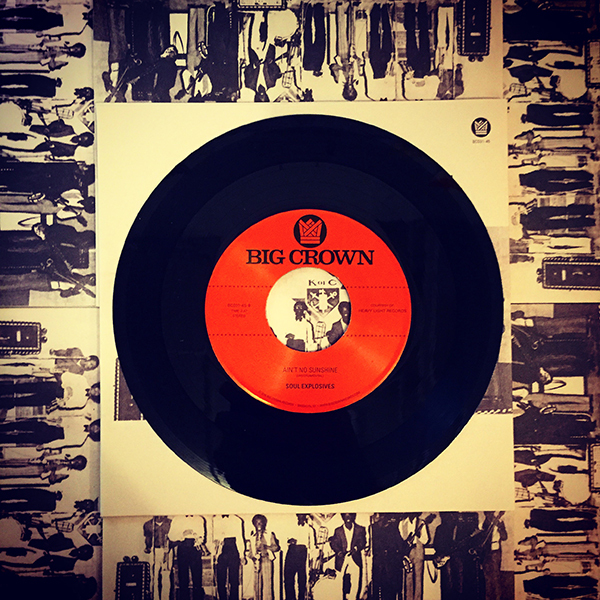 Big Crown Records is proud to present a reissue of the highly sought-after, very rare, and only release by Texas funk band, The Soul Explosives. Active in 1971 and 72, The Soul Explosives were a high school group from Kingsville, TX led by high school senior Skip Frazier. Their main goal was to play a neighborhood know as “The Cut” in nearby Corpus Christ, where there were a number of Soul & R&B clubs. They paid for the recording and pressing of the 45 which was done by a tiny local Tejano studio/label, Bormeh. Copies of the record were given to friends and sold at shows. In ’72 Skip decided to leave the group to pursue his college studies and they disbanded not long after. The A Side “Tryin To Get Down” is a lo-fi funk gem with all the makings of an underground classic. Driving drums and blown out vocals somewhere between encouraging and liberating are sure to peak funk fans ears. The B Side, a absolutely smashing cover of “Ain’t No Sunshine”, is nothing short of a must have. The Soul Explosives nearly instrumental cover might just be the toughest version on a 45. Another Big Crown sureshot.